The list of courses offered by Bells University Of Technology are displayed on this page. Candidates who wish to apply through JAMB should click on any of the courses to see the course requirements. 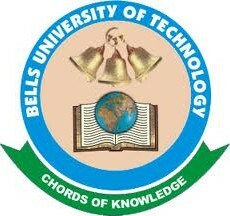 Bells University of Technology also known as Bellstech is the first private university of technology established in Nigeria. It was established in 2004, and began admitting students from the 2005/2006 academic session. Bellstech was established in 2004 by The Bells Educational Foundation, which already ran Nursery, Primary and Secondary schools. The Bells Educational Foundation is owned by Olusegun Obasanjo an ex-President of Nigeria. BUT is made up of seven Colleges and about thirty-five Departments. Due to restructuring some colleges were merged and from 1 August 2016 BUT has three Colleges: College of Engineering & Environmental Sciences, College of Natural & Applied Sciences and College of Management Sciences. I have HND in Estate Management from Yabatech. I want to convert to Bsc., to further continue to masters. Please how can I achieve this in Bell University?